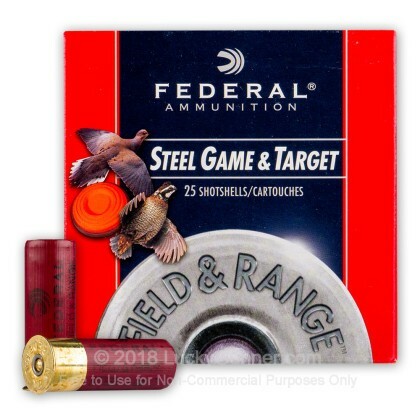 Federal's Steel Game & Target line of shotshells are great for hunting waterfowl. 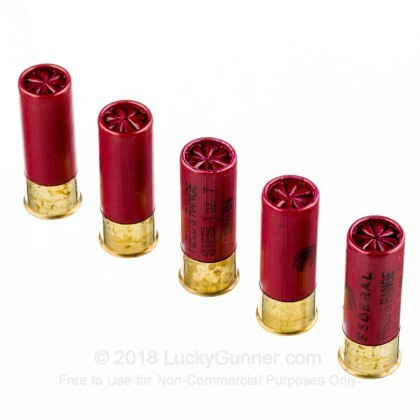 This product features steel shot instead of lead shot making it ideally suited for shooting at ranges near water where contamination of water sources needs to be avoided. 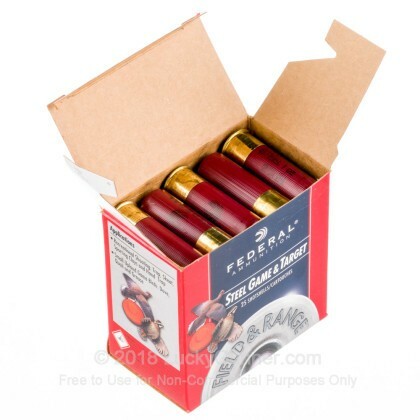 Buy Your 12 Gauge Shotgun Ammo In Bulk And Save Money Now! 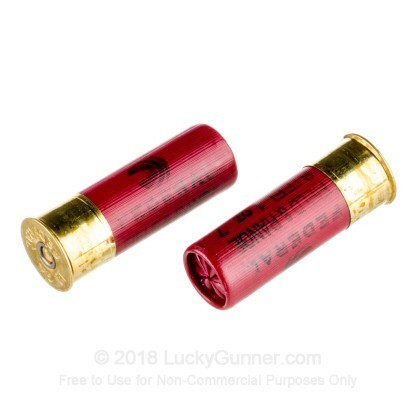 I've used this ammo at the local range which requires steel shot. 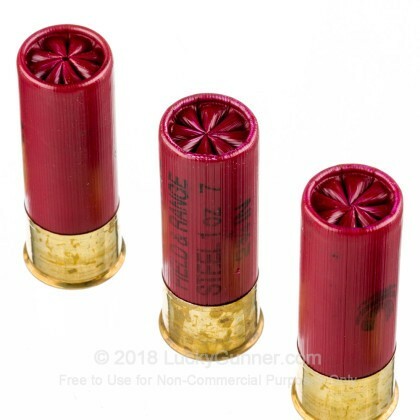 Haven't had any issues whatsoever. 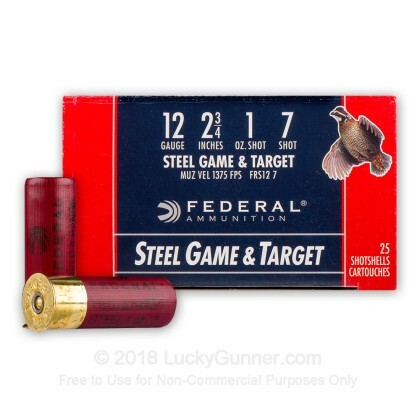 We also have this 12 ga - 2-3/4" Steel Shot - 1 oz - #7 - Federal Game and Target - 25 Rounds ammo in stock in a smaller quantity.